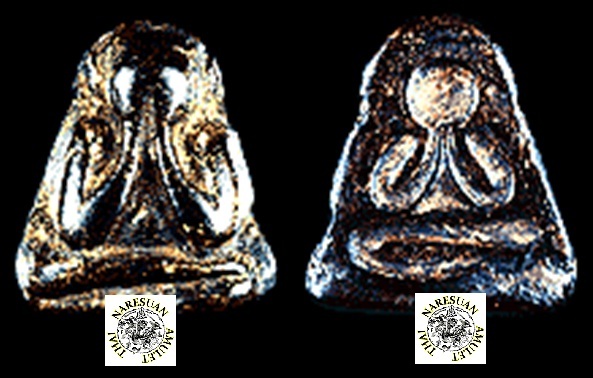 The amulet is an image of a Buddhist saint seated with eyes' closed or nine human orifices' closed gesture in mixed metal form. It is believed that the creation of the amulet is derived its inspiration and influenced either directly or indirectly from a Khmer tradition. Such believe is adapted to the local culture and become established. 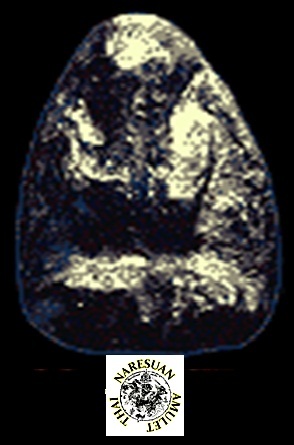 The development gives rise to the amulet of Phra Pid-Ta intheAyuthaya Period. It is believed that Phra Pid-Ta is represented one of a Buddhist Saint named "Phra Kavampati. 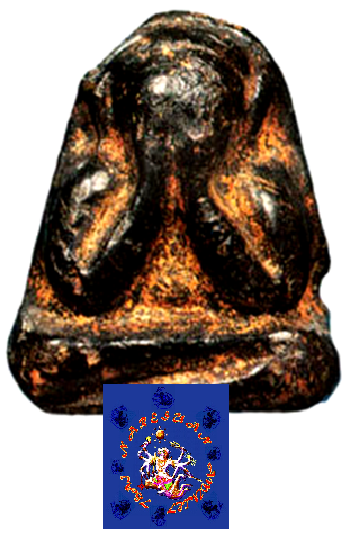 (A Buddhist Saint on eyes' closed gesture) It is believed that Phra Pid-Ta has derived its inspiration figure directly from a khmer tradition or indirectly from a tradition which itself drew upon Khmer art. Such influence is adapted to the local belief-becomes established. 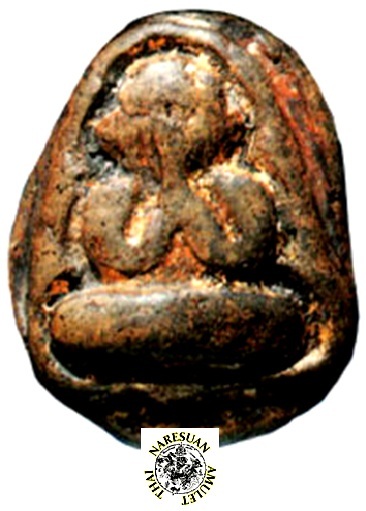 This development gives rise to the amulet of Phra Pid-Ta in the Ayuthaya period. 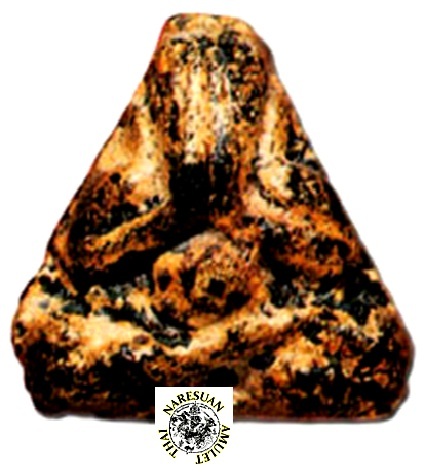 It is believed that Phra Pid-Ta represented one of a Buddhist Saint-Phra Kawampati. The word "Phra Phong Pidta" amulets or "Powdered Phra Pidta" amulets refers to those Phra Pidta amulets which are made from sacred powder and have passed through a Buddhist consecration / spell ceremony. 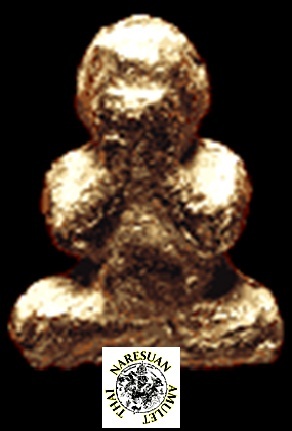 Usually this kind of amulet tends to be more popular than the ordinary metallic Phra Pidta amulets for the simple reason that they tend to be scarcer. 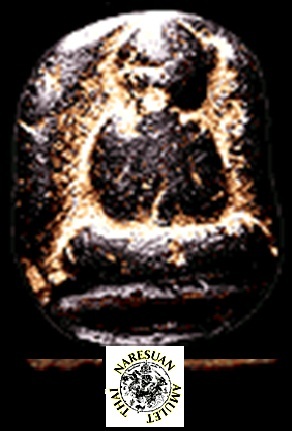 As a result of the scarcity Phra Phong Pidta amulet prices are generally higher than their metallic counterparts. Even more so when consecrated by senior guru monks who are highly respected. Phra Phong Pidta, Luang Phor Suek of Wat Klong-makhamtao, Chinat province. Phra Phong Pidta, Luang Phor Kai of Wat Chernglen, Bangkok. Phra Phong Pidta Luang Phor Kaew of Wat Klerwan, Chonburi province. Phra Phong Pidta Luang Phor Iam of Wat Sapansueng, Nonthaburi province. Phra Phong Pidta Luang Phor Jean of Wat Talad, Chachoengsao province. 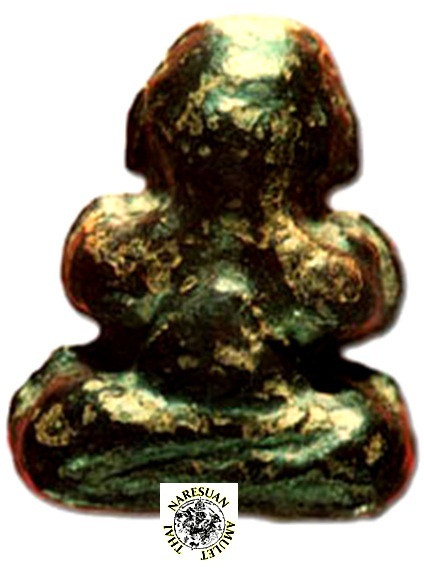 This series of Phra Phong Pidta amulets are collectively known as "Phra Phong Pidta Maha Benjapakee amulets". 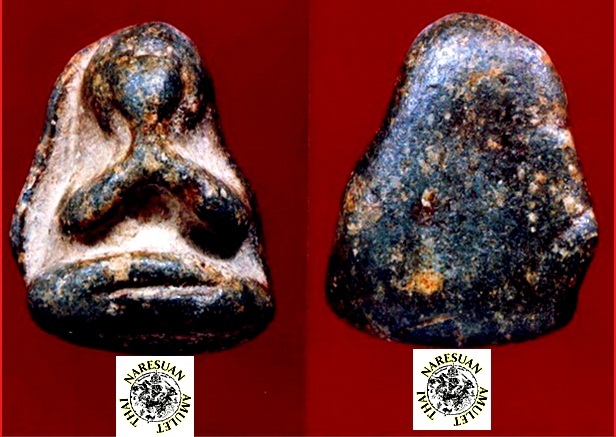 Apart from the magic power that these amulets have in protecting worshippers from danger they are also respected for their supernatural power which can help increase the worshippers levels of charm and attractiveness. It is said whoever owns any of these amulets is very fortunate indeed.